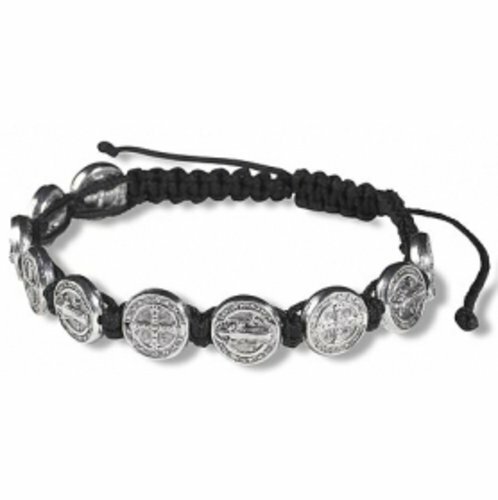 Our most popular Saint Benedict Bracelet that has actual St Benedict Medals as the beads on an adjustable black cord in an economy package of 12 bracelets. You can't beat the price of these bracelets when you get the pack of 12. I kept a couple for myself and gave the rest away to my daughters and some friends. They go with everything and are adjustable!